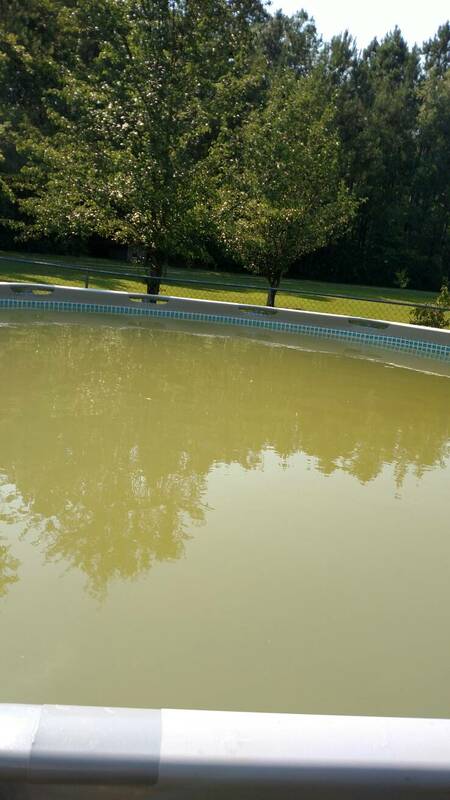 Fill pool on well water? How hard to treat iron in well water? Can you fill it that way? - sure. Will it be hard to manage? - more than likely .... yes. Much depends on the iron content in that well water, but typically if you can avoid it, do so. More on the TFP Pool School - Metals in the Water and Metal Stains page. Hope that helps. You can deal with it, but do you want to? No. I'd look to have some trucked in. It could be very taxing on your well too, which may not be 'used' to pumping/drawing for such an extended period of time. That being said, we filled my childhood above ground pool with a well practically every season. I guess, like anything it depends on a lot of factors. My iron is 2.1ppm. I filled my pool, and it turned brown. Hubby thought it was algae, so we started a slam. Turned darker brown. Turns out the chlorine oxidized the iron and the water looked brown. Our cartridge filter was catching the rusty water, so we built a 5 gallon bucket filter for about $10 to speed up the oxidized iron removal. In a few days, it was crystal clear. We only issues one other time , when we had to top off a few inches, but then some paper towels in the skimmer did the trick. The rest of the time mother nature tops us off. This only works when the iron is oxidized, but the bucket filter is cheaper then monthly chemicals or trucking in water. Always fill mine with well water. Had a 30 foot round at last house, but sold house for a new one and now have a 24' round. Fill it up. Water is brown or orangish, add metal out, (would have to dig it out of back of barn to find out exactly what it is), let filter do its job. Have only had to use the metal out on initial fills. 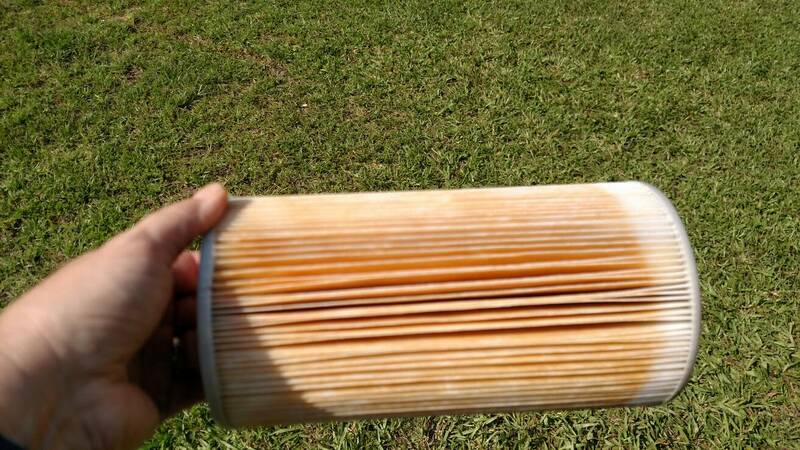 When I top off after winter, (about 12 inches) I just let filter take care of it. Just takes a day or two. Will it be hard to manage...nope. May be hard on well. may not be. Truck water in? Only if I had lots of money to burn. I agree 100% with what you are saying, did not mean to infer otherwise, only meant to add my experiences, but if the only people chiming in are anti well, how will someone with a well make an informed decision? With that said, the following is mine and only my opinion. I guess I forgot to add the comment, your results may vary, lol. Out of the 5 above ground pools in my neighbor hood, all are filled from their wells. I drink the water from my well, which is my mind made it good enough for my pool. If I lived in a different part of the country, I may have made a different decision. We are sorta spoiled up here with the great lakes. Have you had your well water tested for iron and know how high it is or isn't? That would be the determining factor for me. I've not had a problem with my own well water. 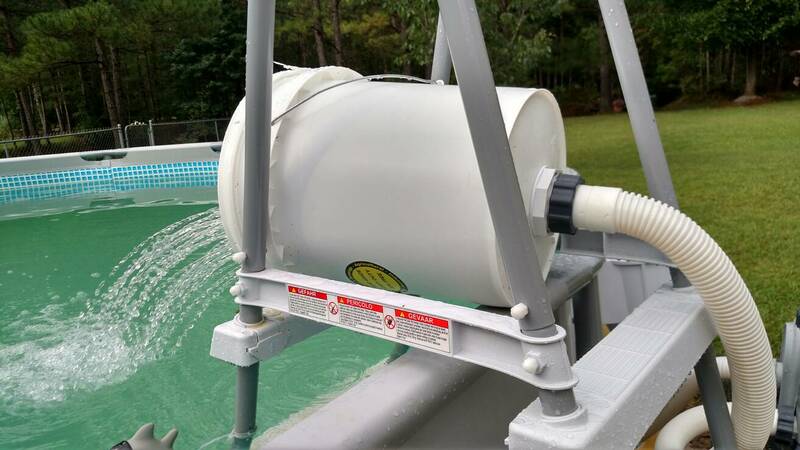 When my pool was finished back in January the builders brought in seven filters (I'm a total newbie and have no idea what kind of filters they were, they looked like the old fiberglass water softener tanks) that the well water passed through before entering the pool. May be less expensive than trucking it in. Did they leave those filters? RollerPigeon, there are many considerations, including financial, but first, how much iron is there in your well? And is it a deep well with a good aquifer, or have others in your neighborhood had problems? Do you have a whole home softener? Do you have a seasonal, above ground pool, a seasonal inground pool, or do you plan to stay open-all-year? How many gallons? Would trucking water compromise your finances? Eg. You can buy a lot of filters and metal sequestrant for $1,000...less up-front cost but more long term hassle to manage for sure..
Is any little stain going to drive you crazy, or will a semi-annual stain cleaning session not phase you too much? We don't have nearly enough info to give you sound advice. The thing most don't realize is that trucking in water to fill doesn't actually magically mean you won't have management issues later down the road because your top up water is still coming from that well. Eventually, if you don't manage the iron, you will slowly accumulate enough new iron from fills to need sequestrant, stain treatments, etc. So whether you truck in water to prevent your well tapping out, etc., or not, you still need to know how much iron is in your well and consider options such as using metal sequestrant, prefiltering the hose water for marginal but meaningful reductions, etc. Tell us more and we can give you better advice more specific to your needs. However, rainfall might replenish much of that, depending on your location.National averages range from 9" to 63" per year, including snowfall. Other things to reduce evaporation, such as a solar cover, will help. But in theory, $1000 of new water could, by this time next year, be composed of 50% (or more in a dry area) of your well water if you have normal evaporation and an annual rainfall of 45". Oh no, definately not. They were pretty serious about me not messing with them or moving them as well. The guy gave me his cell # in case there were any leaks or anything so I wouldn't touch them. They did make me by-pass all my filters and softener as well. I think I worried for no reason. Pool filled in about 36 hours I did rest it a bit not a continued run. Few weeks now water is crystal clear. Thank you, what fittings did you use to attach to the bucket bottom? sizes and where I can purchase them. also what size holes did you drill into the lid and was it a locking lid?